Discussions about digitalization and the Internet of Things do often disregard tangible scenarios. 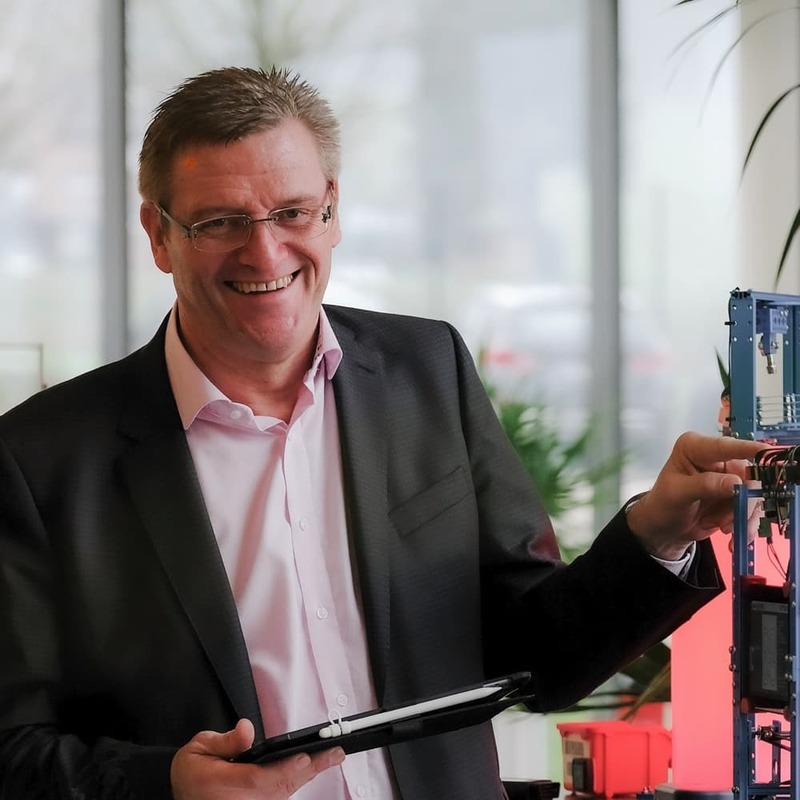 By setting up this “Bring Your Things to Life with itelligence” blog series, Wolfgang Möller, our Global Director Discrete Industries and Internet of Things, would like to inspire you with use cases we created within itelligence IoT labs. In this first article you can read how mixed reality brings benefits to your business. Let’s take a look back to where we are coming from. Paper has been the tool of choice to create information flows in companies for centuries. In the production environment in particular, some still rely on this old-fashioned solution. Earlier in this century, paper gave way to screens that also provide communication and interaction capabilities far beyond information transfers. Then, in 2012, Google launched Google Glass “An optical head-mounted display designed in the shape of a pair of eyeglasses” (Wikipedia). Back in these days, many ideas for business scenarios with mixed reality were popping up. This was the time when we at itelligence developed a warehouse solution for order selection for a customer in France. Google Glass disappeared a couple of years later, and it seems like the right moment never arrived. Lately, the mixed reality hype for business has picked up pace – again. Before we take a deep dive into our show cases, I would like to provide a little intro on what mixed reality is actually about. Mixed reality actively combines the virtual and the real world in real time. What is meant by this? 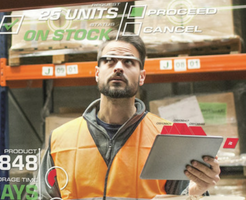 One example is extensions through virtual elements that are complementing reality with, e.g., health relevant information of a machine on the shop floor displayed on a device— for example, a tablet PC or other devices like Google Glass or Microsoft HoloLens. In this context, I would like to introduce you to a use case we developed at itelligence in order to inspire customers and establish dialogue jointly. In the following video I am explaining the advantages of mixed reality in your day-to-day business scenarios. This is part 1 of the “Bring Your Things to Life” series. Wolfgang Möller would like to inspire you with use cases we created within itelligence IoT labs. In this first video you’ll get to know how mixed reality brings benefits to your business. The scenario built on the Microsoft HoloLens makes the life of your service technicians easier, reduces time spend on site and brings agility as well as flexibility. Our scenario is built on the Microsoft HoloLens and its developer kit. We connected the lenses to the SAP backend and started to think about application opportunities. In collaboration with the service organization of a customer, we finally developed this scenario. Therefore, we had fruitful workshops with the customer’s service technicians and gathered information on their daily problems and challenges. It is no secret that products have become more individual than they ever were before. For service technicians, this circumstance is really challenging because there is no standard machine series, anymore. They must deal with individual product characteristics from job to job. As a result, a service technician needs lots of information on the machine he or she is maintaining on site. As you can imagine, the technician needs both hands free to get his or her work done as soon as possible without interruptions caused by looking at tons of sketches, drawings and manuals. All challenges can be tackled through the HoloLens. The service technician is able to call up 3D models of each machine from the SAP system. He or she can turn and twist them with his or her hands since the HoloLens is able to recognize gestures. When other specialists are needed to solve a problem, they can hook themselves up to the glasses remotely to have a look at the situation on site in order to support their colleague. Moreover, documentation processes can be executed live in the system (for example, checklists). This scenario makes the life of service technicians easier, reduces time spend on site and brings agility as well as flexibility. All parties are winners. This use case offers just a brief insight in to what we are capable of. In my opinion, digitalization and the Internet of Things are like a puzzle, and each new digital scenario you apply is a piece of that puzzle. The most important thing is to have lots of discussions with all players involved in order to reach success. A solution that benefits all of its stakeholders has a realistic chance to be successful. A recommendable approach is to move forward incrementally. Apply a scenario like the one mentioned above and start your own puzzle. When you look at the situation in your company, what is your starting point? Check the digital maturity of your company with our free online check. Get started at https://maturitycheck.itelligencegroup.com. My upcoming blog post will be about our digital twin use case for warehouses. Be curious.